River Itinerary - Destination Campbell River | Plan Your Trip Today! RIVER ITINERARY noun, riv·er \ ˈri-vər \ - The powerful River and its waterfall rushes spring waters along the banks as it connects to the great open ocean. You’ll need a hearty breakfast for today’s adventures. Head to the famous Ideal Cafe for just that. Originally built as a truck stop in the 1940s, this classic diner has grown over the years to include more local ingredients and healthier options, but it’s one of its original items that is a legend in Campbell River; the milkshake. Try the Large & In Charge Barge or the Hand Dipped Paralyzer Milkshake for an indulgent taste of history. Ready to walk off a bit of breaky? 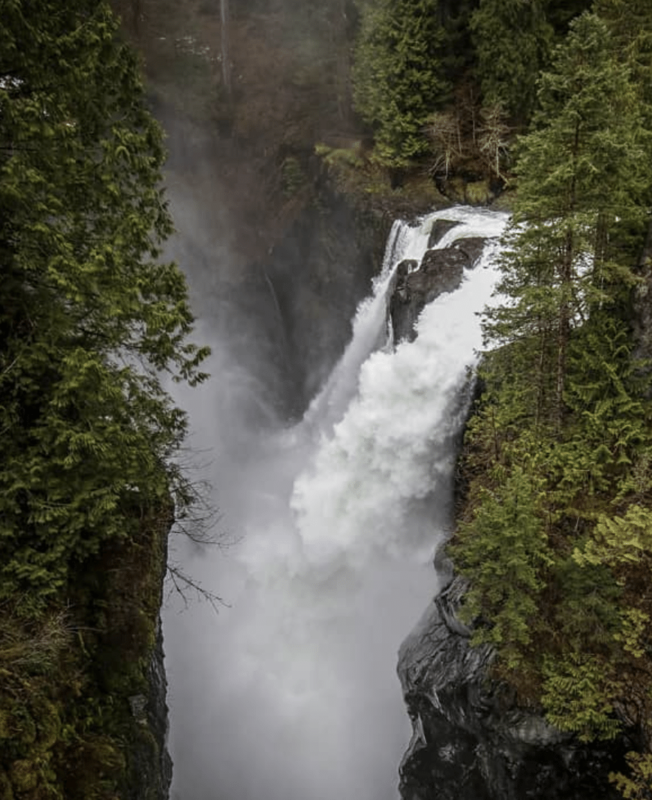 Venture to the breathtaking Elk Falls Provincial Park. Lose yourselves in nature and the overwhelming power of the Elk Falls from the swinging suspension bridge above. After the waterfall, wander through the serene old growth forest and feel dwarfed by the sky high trees. Nestled in nature, Elk Falls will leave you in awe of west coast woodlands. Winding along the river on your way back into town, pull over at the Haig-Brown Heritage House. Roderick Haig-Brown was a notable conservationist and his riverside property captures his appreciation for the natural world. 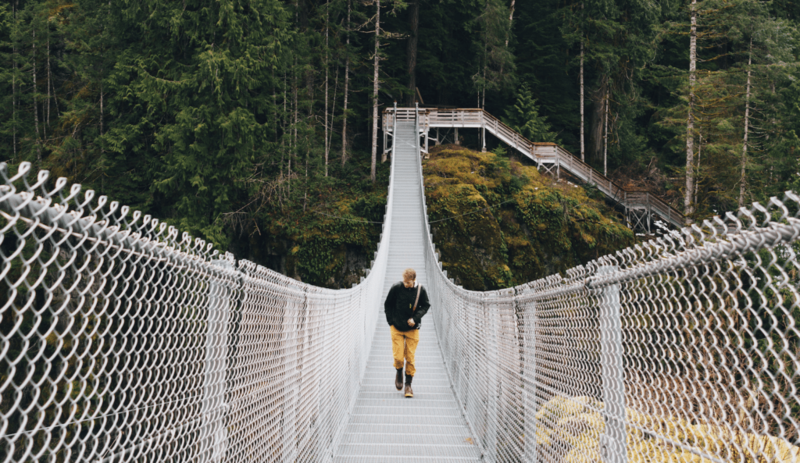 Meander through the scenic gardens along the banks of the Campbell River, and keep an eye out for fly fishers wading into the river in search of salmon and trout. End your day recounting your riverside adventures around a roaring beach re at Ken Forde Beach just south of downtown. This popular stretch of coastline offers stunning and expansive views of the Discovery Islands, and in the distance the towering Coastal Mountain Range. Seafood take out from a local favourite like Crabby Bob’s Seafood or Dockside Fish & Chips is the perfect answer to what’s for dinner.